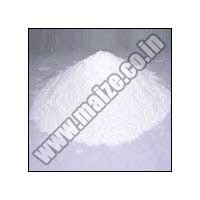 We are considered as one of the famed Zinc Oxide Suppliers and Zinc Oxide Exporters from India. We offer excellent quality Zinc Oxide chemical that is highly utilized in veterinary as well as micro-nutrition products. Free-flowing and no lumps makes this Zinc Oxide Solutions highly recommended by customers. It is used as poultry, animal and cattle feeds and is odorless and available in green and white color. We are an eminent Zinc Oxide Supplier. The Zinc Oxide Powder supplied by us is of very good quality. Customers can place both retail and bulk orders for Zinc Oxide Chemical with us. We are known for fast delivery of order and also ensure only the best quality reach the customers. Customers can also come to us for any urgent requirements. We have so far handled many orders of Zinc Oxide and customers always say they had a pleasing purchase experience with us! The Zinc Oxide provided by us can be used as an additive in variety of materials and products such as lubricants, rubbers, adhesives, plastics, batteries, ceramics, fire retardants, glass, ferrites, ointments, foods, paints, first-aid tapes, sealants, cement etc. Our Zinc Oxide is produced using advanced processes. It is also very non-toxic.